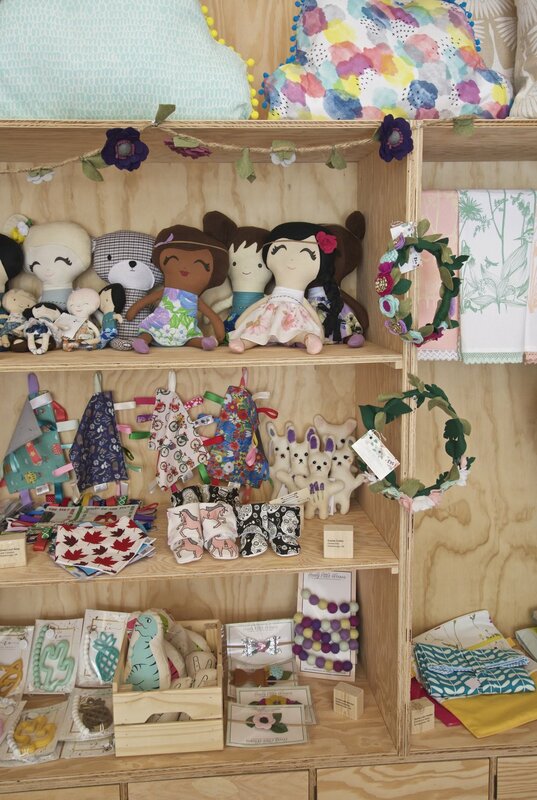 A new shop has just opened up & I thought I would give you a little tour. Watson & Lou is in my hometown of Peterborough ON, & is a unique spot downtown that supports over 30 local makers. You also have the opportunity to rent shared studio space as well as take part in monthly creative workshops. "Our mission is to celebrate the beauty, ingenuity, and kindness of our local creative economy. 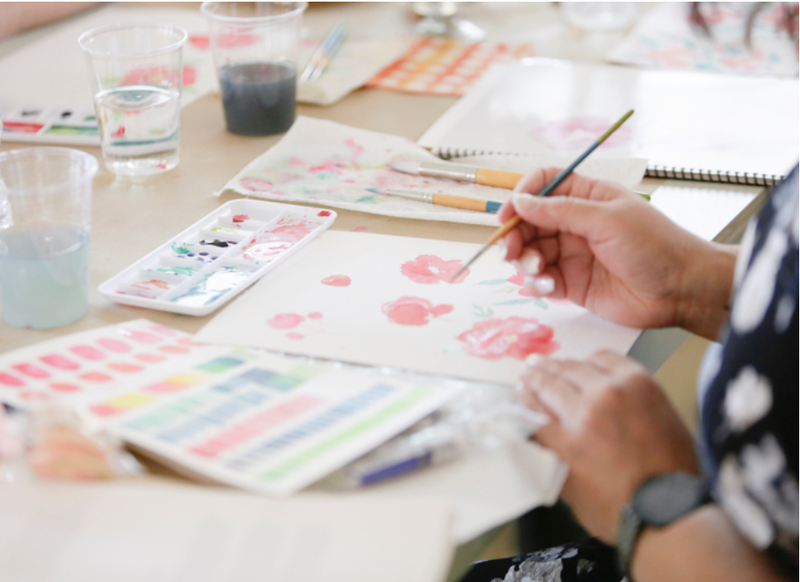 We aim to provide a platform for local makers to share their work with a wider audience while growing and refining their practice through dialogue and skills-sharing." 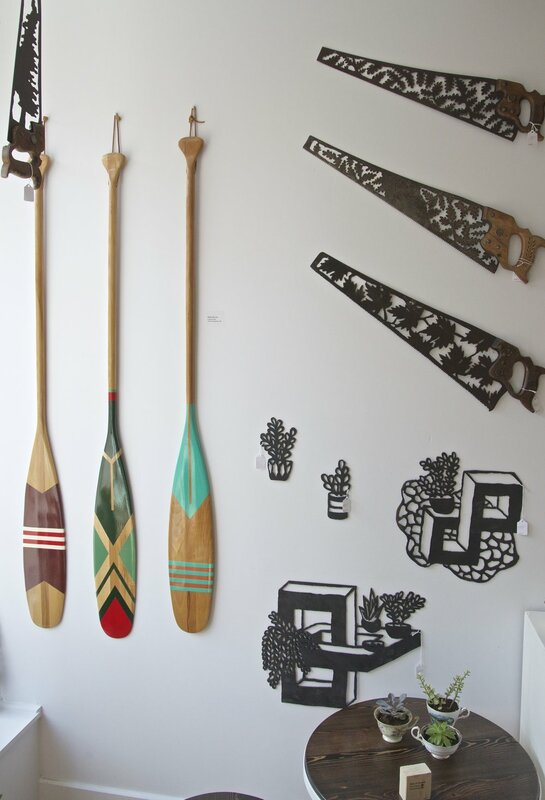 A selection of pieces from North Oar co. & Burn Island. Beautiful side tables from Relic of Canada. A collection of prints are available to choose from. That wallpaper is so gorgeous you could just frame it! I also need to note how full the fiddle leaf figs are, I'm jealous. 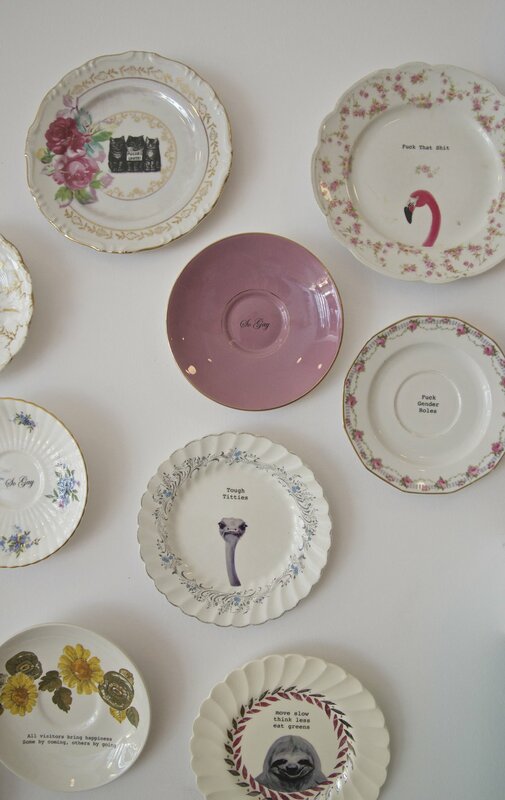 The plate wall by Lou Brown Vintage is so fun! How great is that pop of teal behind the till mixed with the copper pendants. 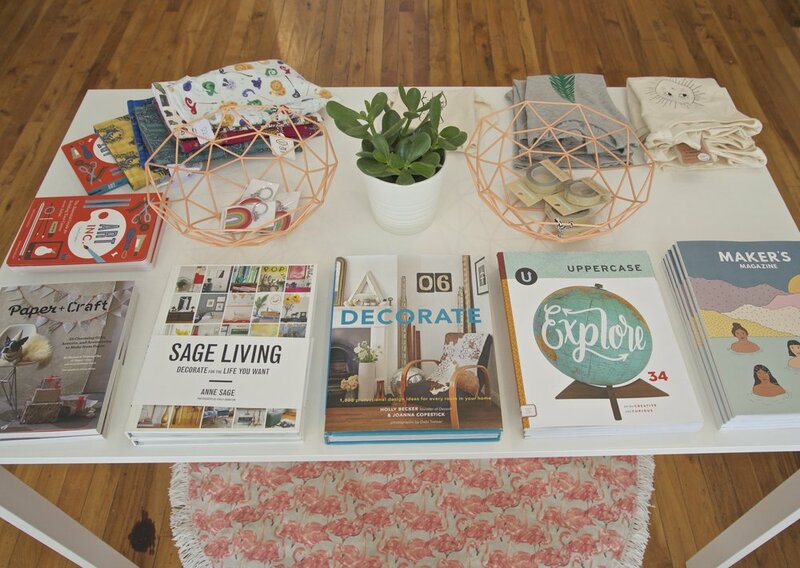 They have a good selection of art/design books & magazines. 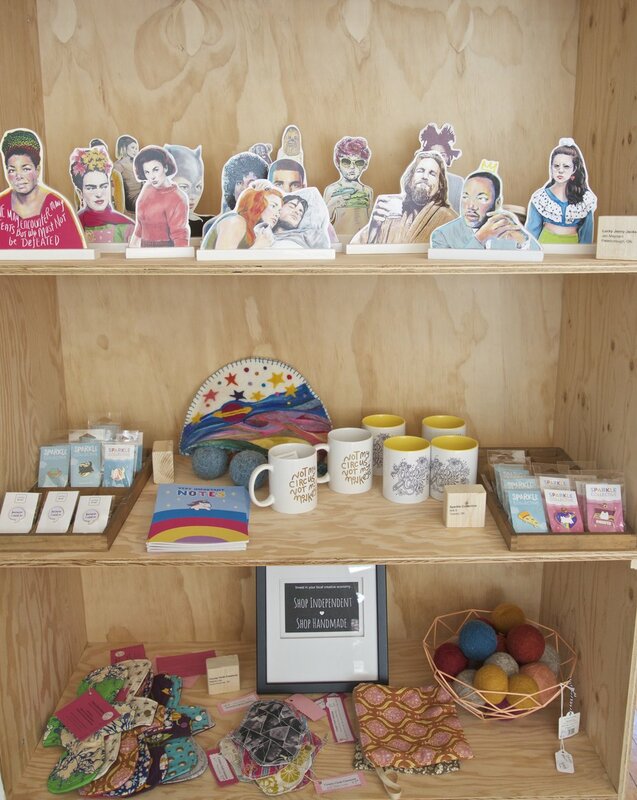 Lots of colourful items to bring home, including Cultural Standees by Lucky Jackson. An overload of cuteness for the little ones. Dolls by Mini Goddesses, Booties by Coyles Cubby, felted bunnies by MonAmieManon. 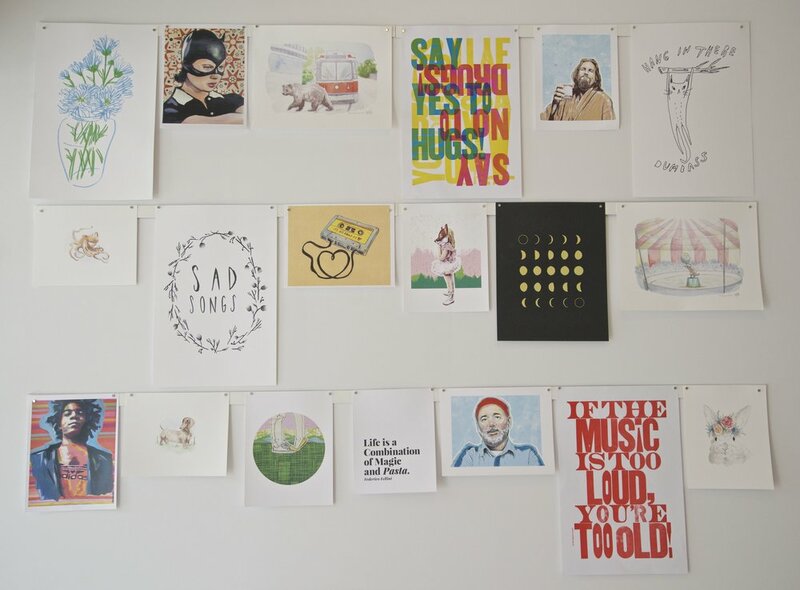 A selection of stationary by The Critter Co. & Swell Made Co. Papercuts by Laurel Paluck. Odd Ducks Vintage makes the most amazing fibre art. Neck Ties by Slice of Blackbird Pie. 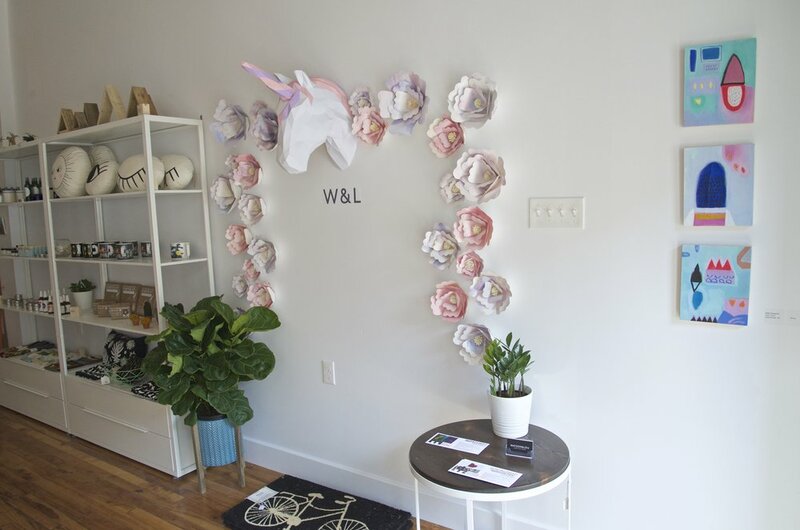 You can take a selfie under that pretty unicorn. Some of my paintings hanging on the right. If you are local make sure to follow them to see what workshops are happening. Tonight Heck Yes is running a sold out workshop making cacti gardens. If you have never tried working with a medium before grab & friend & enjoy a night out. You can sign up for all workshops here. If you are not local you can still check out the Online shop. Make sure to support local makers for the holidays!